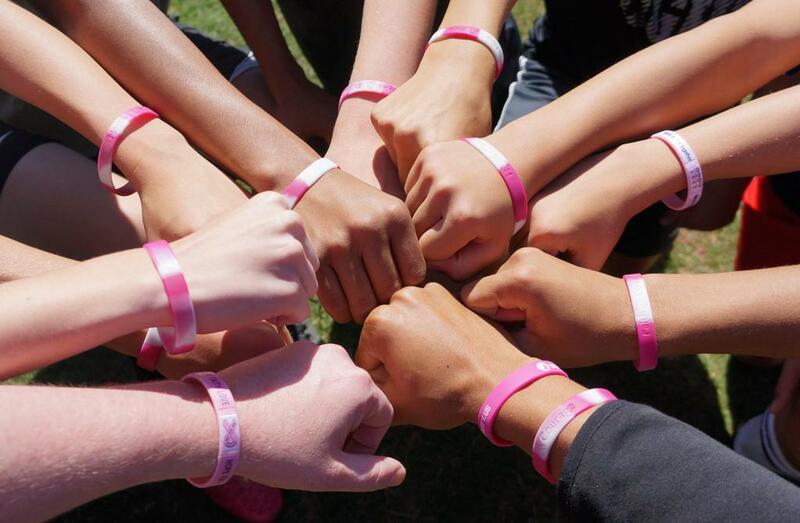 Members of the Lufkin Road boys' soccer team show off the pink bracelets they wore proudly in support of Coach Perrin and his wife. The team took it upon themselves to order pink socks to wear during their final game of the season. 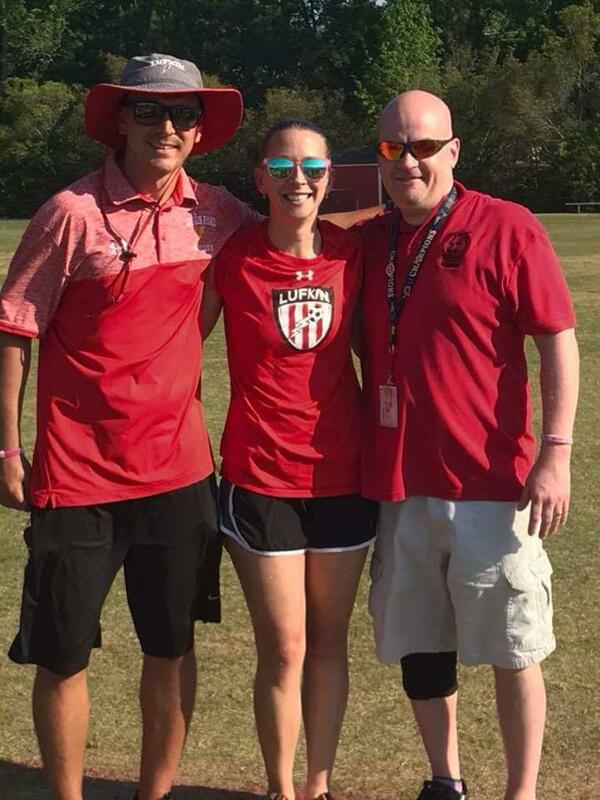 When Ron Perrin’s wife was diagnosed with breast cancer during the first week of boys’ soccer tryouts in early 2018, his first instinct was to take the season off of coaching to focus on supporting her. “But she said, ‘That’s not an option. The kids need you and you need them,’” Perrin recalls. That turned out to be more accurate than either one of them could have anticipated. 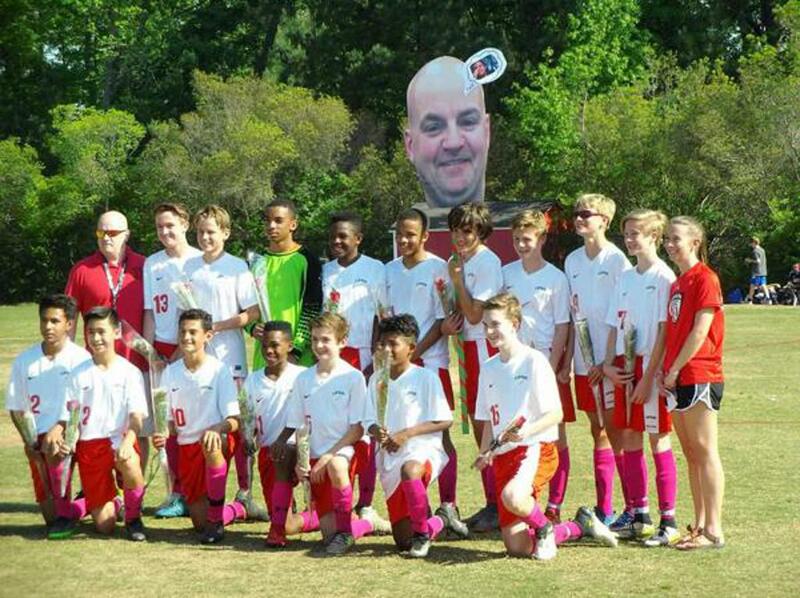 Perrin was the lead school counselor and co-head coach of the boys soccer team at Lufkin Road Middle School for six years before moving this past fall to Apex Friendship Middle School. 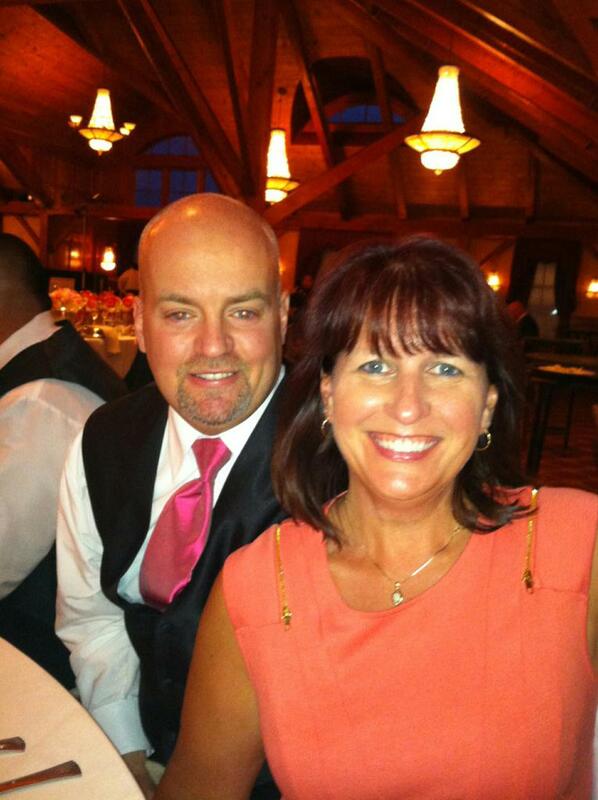 With his wife now cancer-free, he is eager to share how his colleagues and young players went out of their way to show their love and support during that difficult journey. He first shared the news with Co-Head Coach Jenny Delahooke and Athletic Director Rob Weidenburner. “They embraced me and said, ‘You’re part of this team; let us get you through this,’” Perrin says. He decided to keep the news from his team until a player asked one day why coaches were wearing pink bracelets. “I always preach honesty, so I pulled the team in and explained the situation,” Perrin says. But the team wasn’t done finding ways to show their coach what he meant to them. When they dressed out for their final game of the season, they were all wearing pink socks that they had taken the initiative to order. “They had signs showing support for my wife and for me, and when I stepped on the field, they all started clapping for me and pointing towards their socks,” Perrin says. “It was surreal. My wife was able to make it for the second half of the game, and all my student athletes went out of their way to ask her how she was doing. We won the game, but I explained to the boys, with tears running down my face, that the score didn’t matter because what they did for me and for my family is more than anything you can get from a win or a loss.